I did a horrible job of posting to my own blog in 2016. My intent is to do better this year, by at the very least tracking my own writing and reading. Hopefully some of these posts will inspire folks to comment and chat a bit. Today’s post is basically a “by-the-numbers” accounting of my writing, editing, submitting and sales in February. At the end of 2016, I set myself a challenge for 2017: write at least 5 days a week, and write 1,000 words a day. I’m using a pretty simple spreadsheet to track “new words written” by day and week, with a column for notes (about projects worked on, totals for week/month, etc.). I’m tracking my writing week as Sunday to Saturday. February 1 – 4: I wrote on three days, and totaled 2,639 words. The first full week of February: I wrote on five days, and totaled 4,696 words. The second full week of February: I wrote on four days, and totaled 5,224 words. The third full week of February: I wrote on six days, and totaled 5,358 words. February 26 – 28: I wrote one day, and only 300 words. I decided, after advice from various writer friends who weighed in, to give credit to some editing time as writing time: if I in fact, during edited, wrote new paragraphs into a story (regardless of how many words I may have deleted at the same time), then I count those paragraphs as writing time. For instance, the 300 words on February 28 were added to a story I was editing from the previous month. Each month’s goal is roughly 20,000 words (1,000/day x 5 days/week). In February I wrote 18,217 words. That’s a few thousand up from January’s total, which is a good thing. In the process, I completed two stories that had stalled in 2016, wrote a brand new story from scratch, and started another brand new story (that I’m still working on in March). I did a much better job of working in editing time in February than I did in January. Part of that was because I allowed myself to count some of the editing time (when I found myself adding entirely new paragraphs or scenes) as writing time. And part of it was the realization that if I don’t go back and revise/edit my first drafts, then they’ll never be ready to send out to editors. According to my notes, I did fairly heavy editing on two different stories, including the one I mentioned last month that had received detailed feedback as part of a rejection letter from a very busy editor. On average, I had 6 stories out at any given time throughout the month of February, which was a step up from January. My goal by the end of March is to have 10 stories out making the rounds at any one time, reprints included. I have nine stories out on submission right now, including the two I spent part of February editing. No sales made in February, although there were a few very nice personal rejection letters that make me think maybe I got close. And that’s about it for February’s writing, editing, submissions and sales numbers. A couple of folks have asked, so I’m finally putting together my wrap-up post for 2016: what I wrote, what was published, and what I read. “Yeti” appeared in Robbed of Sleep, Volume 4 from Troy Blackford. I also sold one story, the aforementioned “Chasing May,” which releases in just a few weeks from this writing. I set myself a variety of reading challenges in 2016. I managed to complete a few of them. On Goodreads, I challenged myself to read 100 books. I read 105. On my Livejournal, I challenged myself to read 365 short stories (1 per day, basically), but I only managed 198 this year. I did not read as many anthologies or single-author collections cover-to-cover as I have in previous years. Those 198 stories were written by 166 different authors. 82 of those were women (again, didn’t do a good job of tracking any other author-identifying metrics). The work was published by 26 different editors, roughly (there were a few for whom I’m not sure who the editor was / who to credit). I did a horrible job of posting to my own blog in 2016. My intent is to do better this year, by at the very least tracking my own writing and reading. Hopefully some of these posts will inspire folks to comment and chat a bit. Today’s post is basically a “by-the-numbers” accounting of my writing in January. At the end of 2016, I set myself a challenge for 2017: write at least 5 days a week, and write 1,000 words a day. I’m putting together a blog post about why I made this particular challenge, and why the same challenge might not work for anyone else. The first week of January I wrote 3 out of 5 days, and managed 2,198 new words. The second week of January I did no writing at all. The third week of January I wrote 3 out of 5 days and managed 4,833. The fourth week of January I wrote 5 out of 5 days and managed 5,225, words. In the three days of January 29-31 I only wrote 1 day, but wrote 2,580 words. Each month’s goal is roughly 20,000 words (1,000/day x 5 days/week). In January I wrote 14,836 words. In the process, I completed a previously stalled short story and wrote a complete second story. I’m feeling pretty good about those numbers, given how little I wrote in the second half of 2016. Where I’ve dropped the ball in January is in editing/rewriting. I have three stories that I received really valuable feedback on from beta-readers/critiquers in Nov/Dec., and those stories are still waiting to be reworked with that feedback in mind. (One of them, the feedback was actually part of a rejection letter. Not a “revise and resubmit,” but still very personalized feedback fromvery busy editor!). And of course, I now have the two stories written in January that will need editing/revising. First drafts are great, but they’re rarely ready to send out. I clearly need to find a balance between the writing time and the editing time. I’m going to work harder on that in February, as I continue to work on that writing goal mentioned above. I have three stories out on submission right now, one of them something I co-wrote with a more well-known author. I could have more, but I was as bad about submitting stuff in the second half of 2016 as I was about writing or editing. Hey, at least I’m consistent. A few days ago, the ToC for KEPLER’S COWBOYS, edited by David Lee Summers and Steve B. Howell for Hadrosaur Productions, was announced. I’m very glad to be able to say that my story “Chasing May” is included, alongside work by authors like David L. Drake, Jaleta Clegg, Gene Mederos and others. You can preorder the Kindle version here, or the print and other ebook versions here. I loved Summers and Howell’s previous anthology, A KEPLER’S DOZEN, and anticipate this new anthology will be just as fun. And that’s about it for January on the writing front. A separate post about January’s reading will follow tomorrow. Yesterday I posted about my writing accomplishments in January. Today’s post is about my reading. Locke and Key Vol 1.: Welcome To Lovecraft, by Joe Hill and Gabriel Rodriguez. I’ve been meaning to read this series for a while, and finally got around to it because my nephew Brandon forced it into my hands during a December visit. I’m glad he did. Really enjoyed the set-up, and am looking forward to reading the rest of the series soon. Battle Hill Bolero (Bone Street Rhumba #3) by Daniel Jose Older. I love urban fantasy. If you love urban fantasy, and you’re not reading Older’s NYC-set story of ghosts, magic, and political machinations … well, why not? This third book closes out the Rhumba series, but I’m sure Older isn’t done with these characters or this world. And his writing has a musicality to it I can’t remember feeling with anything else I’ve read. Lily, by Michael Thomas Ford, with illustrations by Staven Andersen. Classic fairy-tale tropes (Baba Yaga, hidden villages, a girl with a power she doesn’t understand, adults who try to suppress that power) come together in a modern setting. Some types of stories stay true no matter when they’re set, and Ford does a great job of balancing the fantastical with modern realities. And Andersen’s illustrations are disturbing and beautiful at the same time. Heaps of Pearls by Seanan McGuire. McGuire publishes a lot of stand-alone short stories from her various fictional series worlds on her website and her Patreon page. This one details how two secondary characters from the October Daye series, Patrick and Dianda, first met. It takes place prior to book one of the series but is probably best read after book 9. And what a meet-cute it is. Lumberjanes Volume 5: Band Together, by Shannon Waters, Noelle Stevenson, Grace Ellis, Brooke Allen and Carolyn Nowak. My good friends Kay Holt and Bart Leib introduced me to the Lumberjanes collected volumes on a visit to Boston last year, and I’ve eagerly awaited each new volume (since I don’t buy individual monthly comics anymore for a variety of reasons). I love the characters, the mystery, and the pacing. I have to admit that the change to the art in the run of issues collected here didn’t quite work for me: some of the characters barely looked like themselves for me. The art’s not bad, it just took some getting used to. But the story is a lot of fun. In Sea-Salt Tears by Seanan McGuire. Another short story in McGuire’s October Daye universe, this time telling a tale of romance and secrets involving everyone’s favorite sea-witch, The Luideag. I know, I know: “romance” and “the Luideag” are not words one expects to hear in the same sentence. Best read after book five of the October Daye series. Dusk or Dark or Dawn or Day by Seanan McGuire. A new novella from McGuire that doesn’t seem to connect to any of her other existing series (although I can see it connecting to her novel Sparrow Hill Road in some ways). There’s some great world-building around a main character whose voice clicked with me right away, making me want to know more about her and the characters around her. A very satisfying “done in one” story. So: eight books read in January, and Goodreads tells me that means I’m “on track” for my yearly goal. The first 9 stories come from the January 2017 issue of Lightspeed Magazine. The first 8 are available to read for free on the magazine’s website, while the 9th story is only available as part of the ebook edition. Rate of Change by James S.A. Corey. A look at a future where brain/spinal transplants have become the norm — how does that affect our basic humanity. The Whole Crew Hates Me by Adam-Troy Castro. First person narrative about why the title of the story may be true. As soon as I finished reading it, I thought “man, this would make a fantastic acting monologue!” Great, is-he-paranoid-or-not voice. Tracker by Mary Rosenblum. Intriguing future (?) world where seeming gods control the weather, population, etc., and the title character is trapped in the middle of a power struggle. Nine-Tenths of the Law by Molly Tanzer. What happens when your husband is replaced by an alien intelligence just as you’re getting ready to divorce him. There’s a bit of comedy and tragedy mixed together here. Seven Salt Tears by Kat Howard. Another moving, very personal story from Howard, this one about how childhood stories involving the ocean impact a woman’s life. Daddy Long-Legs of the Evening by Jeffrey Ford. I read this one years ago, was completely creeped out by it, and am happy to say the reread was just as creepy. Urban legend about a boy whose brain is infested by a spider. The West Topeka Triangle by Jeremiah Tolbert. This one really brought back middle school memories, even though I didn’t grow up anywhere near Kansas nor in any urban setting. I love that lingering question as to whether anything supernatural is really happening, a tone Tolbert expertly keeps up throughout the story. Nine by Kima Jones. Fantasy trappings on a real-world setting: Tanner, Jessie and Flo run a motel for blacks moving west after the Civil War, but even the three proprietors are running from something that seems destined to catch up with them. Heart-breaking and full of love at the same time. Awakening by Judith Berman. Aleya wakes in a dungeon full of corpses, unsure how she got there. This story takes more twists than a D&D campaign, and each one is layered brilliantly onto the previous. It kept me guessing throughout as to how it would end. Heaps of Pearls by Seanan McGuire. (self-pubbed on the author’s website). As mentioned above, a really cute story about how Patrick and Dianda met. It has the feel of a screwball rom-com. Stage of Fools by Seanan McGuire. (self-pubbed on the author’s Patreon page) A story of Tybalt, the King of Cats, during his days in London, long before Toby Daye was even born. The first of three connected stories about how Tybalt re-opened his court after a long period of being alone. The Voice of Lions by Seanan McGuire (self-pubbed on the author’s Patreon page) The second connected story about Tybalt reopening his court in London, with some interesting political intrigue thrown in. Lunching with the Sphinxes by Richard Bowes. (from Grendelsong magazine, issue #2). A story set in Bowes’ Big Arena (NYC) future-history. Political intrigue from the perspective of a person who never thought she’d be a politician. I’d not read this when it first came out, but it seems a bit prescient in light of recent political events here in the US. Singing Wings by Keffy R.M. Kehrli. (from Fireside magazine #27). Aduaa is about to go through her species’ natural transformation, which means saying goodbye to those she’ll no longer be able to interact with. Kehrli really sucker-punches you with a depth of emotion we all recognize when life forces us to move on. Bones at the Door by John Wiswell (from Fireside magazine #27). Mandy starts discovering animal bones left at her front door, which leads to life changes she never could have expected. Eerie and disturbing. The Closest Thing To Animals by Sofia Samatar (from Fireside magazine #27). The narrator discloses a history ofher failing relationships in a city closed off from the rest of the world due to a plague that doesn’t kill. Great world-building, interesting story structure. The Acts of Hares by Seanan McGuire (self-pubbed on the author’s Patreon page). The third of the connected Tybalt stories, this one about how he finally finds that last reason to re-open his court to other cats, putting him further on the road to being the Tybalt we know in the current Toby Daye books. Beks and the Second Note by Bruce Arthurs. (from the December 2016 issue of Alfred Hitchcock magazine). Appearances are deceiving and not every case is as simple as it seems, as Detective Beks discovers investing a case of a good gun-carrying citizen killing a bank robber. Whatever It Takes by Lawrence Block (from the December 2016 issue of Alfred Hitchcock magazine) An old, previously-unpublished Block tale of a group of cops trying to get a man to turn informant against a big time, almost-untouchable gangster, and the lengths to which they’ll go. The dialogue-heavy story structure makes it an even more fun read. Through This House by Seanan McGuire (from the anthology Home Improvement: Undead Edition). Another story set in McGuire’s Toby Daye universe, but in modern times compared to the others read this month. Toby, May, Quentin and Danny must figure out how to reopen the sealed fairie Knowe of Goldengreen before it kills them. It’sbit of a haunted house adventure, with all the creeping shadows and jump-scares one would expect. In Sea-Salt Tears by Seanan McGuire (self-pubbed on the author’s website). As mentioned above, this one is set prior to the first novel of the Toby Daye series and doesn’t involve Toby herself. But it’s a great love story, slowly and carefully told. So: 21 stories read in January, which means I’m 10 stories behind on my “read 365 stories this year” goal. But I suspect I’ll be catching up soon. One of my problems is I keep buying short story anthologies and then setting them aside for when I have time to read “the whole thing.” Which rarely seems to happen. So I’m making a sub-challenge for myself that each time I buy a new anthology, I will read at least one story the day I buy it. That might help with this a bit. Clearly, between books and stories this has been a Seanan McGuire heavy month. She is one of my favorite authors, and I’ve been working towards finally reading all of the stories connected to her main novel series. So there’ll be another batch of McGuire reviews in the wrap-up post for February’s reading as well. While I’m plugging away on revamping this site and plugging away on writing more short stories, I finally managed to upload the third of the songs I’ve co-written and recorded to my Bandcamp page. It’s called “Someday,” and it’s based a bit on the school experiences of at least two kids who are important to me (but who shall remain nameless for reasons). It’s about overcoming bullying and ostracizing and adversity, and being who you are, and all the fears that go along with that. I wrote the words. Barry Mangione wrote the music and played guitars. Darrell long added some percussion and a bit of keys while he was producing the song. It’s actually the first of the songs I co-wrote and recorded, although it’s the third to come to internet availability. All proceeds will be donated to Reverse The Trend, a non-profit I’ve mentioned before. RTT brings anti-bullying and self-esteem programming to middle schools around the US. I hope you’ll give the song a listen, and perhaps a purchase, at the link embedded in the song title above. I’ve co-written and recorded another song! “Done” is now available on my Bandcamp page. Words by me, music and production by John Russo from the band Reverse Order. These songs of mine never actually sell much, but any proceeds I do garner will be donated to John’s non-profit organization Reverse The Trend, which brings anti-bullying and self-esteem programming to schools around the country. Please check out their page if you’d like to book the program for your school or if you’d just like to donate to a worthy cause. You can also help them by turning your Amazon page into a SmileAmazon page and setting “Reverse The Trend” as your charity of choice. The great thing about that program is: you shop the way you normally do, and Amazon donates to your choice charity. After much encouragement from many friends, I finally started a Bandcamp page to get this music out there. I’d still love to film videos for these songs one of these days, but for now at least the music is out there. Well, at least one of the songs is. We’re still doing a little bit of editing on the song I co-wrote with Barry Mangione, “Someday,” (tracking some extra guitars and drums into it for a fuller sound). 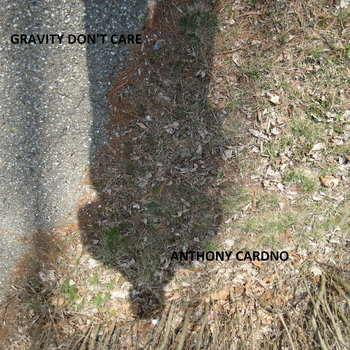 But the song I co-wrote with John Russo of Reverse Order, “Gravity Don’t Care,” is up on the Bandcamp page now, and I’ve decided that all proceeds from this will be donated to the American Cancer Society. Here’s the link to where you can find and purchase the song.